Cellar Door Games moved 100,000 units of the action side-scroller within the first week. Dungeon-crawling, side-scrolling, action platformer with a twist Rogue Legacy was a fairly good critical and commercial success. And by “fairly good” we mean it went so well over with critics, that it was easily considered one of the best indie titles of 2013. As for the commercial aspect, the game surprisingly turned a profit within just one hour of going on sale according to Cellar Door Games in a recent GDC talk. With a budget of about $15,000 and an 18 month development cycle, creators Teddy and Kenny Lee talked about how the game managed to move 100,000 units within the first week. The budget was much higher than either man was used to – having spent $1000 for funding previous games – but it was eventually worth it. 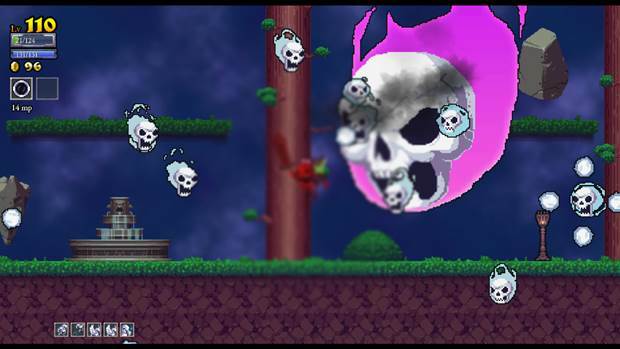 If you haven’t played Rogue Legacy, you check out our review of the game here. Or you could just pick it up and play it – it IS a ton of fun you know.